Our Data Protection Notice is changing under the General Data Protection Regulation (GDPR). We have also made changes to some terms and conditions so that they are aligned with the principles of the GDPR. You can find more information on these changes here. 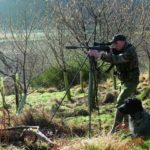 What does this mean for the Irish Deer Commission? conduct our Association in a fair and transparent way and ensure we minimise the risk of unfair outcomes for our members or impact on their data rights and freedoms. When we talk about “Irish Deer Commission”, or “us” or “we” “Association” on our Data Protection Notice and this website, we are talking about the Irish Deer Commission, affiliates and their respective parent and subsidiary companies. We share your information within Irish Deer Commission to help us provide our services, comply with regulatory and legal requirements, and improve our products. We always ask for your explicit consent to do this. 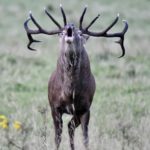 Special categories of data – Does the Irish Deer Commission process this information? Racial or ethnic origin – No – We do not request you to provide details of racial or ethnic origin to provide our products and services. Political opinions – No – We do not request you to provide political opinions to provide our products and services. Religious or philosophical beliefs – No – We do not request you to provide religious or philosophical beliefs to provide our products and services. Trade union membership – No – We do not request you to provide trade union membership to provide our products and services. Genetic data – No – We do not request you to provide genetic data to provide our products and services. Sexual orientation – No – We do not request you to provide sexual orientation to provide our products and services. We analyse the information that we collect on you through your use of our products and services and on our social media, and website. This helps us understand your preferences, how we interact with you and our position in relevant sectors. Examples of how we use this information include offering you events and news and personalising your experience. Legal obligation – We must process this information comply with our legal obligations. 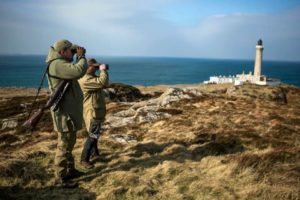 Our legitimate interests –Legitimate interest means the interests of the Irish Deer Commission in conducting and managing our Association when providing events and services. The core legitimate interests of the Irish Deer Commission are to provide the best service and advice, to our members, supporters and the general public. We will always assess whether the legitimate interest of the Irish Deer Commission will adversely impact the rights and freedoms of the data subject prior to processing. We implement safeguards to ensure that the processing remains fair and balanced. Our risk assessments help us understand what information we need, our requirements, the impact on our members and supporters, alternative options for processing and how long we hold the information for. We produce internal information and models to understand risk across the Association, ensure necessary safeguards are in place and assess the design and effectiveness of these safeguards. Manage our relationship with you We keep our records up to date to contact you when required and provide the best member experience. We want to continually improve and better understand our members. By collecting and analysing data from multiple sources, we can better understand the requirements of our members and how we can improve events and service offerings. This analysis also helps us run our Association more efficiently and effectively. Identify ways we can improve our events and services We are always working to develop new events and innovative ways of bringing these to you. Directly contact you about new events, services and relevant news or relevant developments we believe you should be aware of. With your consent, we will let you know what events or services you might like. We require your consent when processing special category data, such as facial and voice recognition to identify you. Your data will also be linked to the data of your family members, any family membership or group applicants. If you do not provide the information we need, or help us keep it up to date, we may not be able to provide you with our events, services or process a membership applicaiton. Sometimes we need your consent to use your personal information. For example, when we use sensitive personal information (known as special category information under GDPR) about you, such as medical or biometric data, we ask for your explicit consent. For direct marketing, we need your consent to make you aware of events and services which may be of interest to you. We may do this by phone, post, email, text or through other digital media. You can decide how much direct marketing you want to accept when you apply for new membership and services. As part of our direct marketing, we analyse the information that we collect on you through your use of our events and services and on our social media, apps and websites. This helps us understand your preferences, how we interact with you and our position in a market place. This enables us to personalise your experience and provide you with the most suitable events and services. If we ever contact you to get your feedback on ways to improve our events and services, you have the choice to opt out. Please visit www.irishdeercommission.ie/aboutus where you can read more information on how we protect your privacy and your personal data. To meet our legal and regulatory obligations, we hold your information while you are a member and for a period of time after that. To help you understand how long we hold some of your data for, we have summarised our internal retention schedules below. We hold all data while you are an active member with us or have provided an explicit consent. Please note that these retention periods are our policy but are also subject to legal, regulatory and Association requirements, which may require us to hold the information for a longer period. Regulatory bodies including the Data Protection Commissioner. We may transfer your personal information outside of the European Economic Area (EEA) to help us provide your products and services. We expect the same standard of data protection is applied outside of the EEA to these transfers and the use of the information, to ensure your rights are protected. We generally do not charge you when you contact us to ask about your information. Per regulation, if requests are deemed excessive or manifestly unfounded, we may charge a reasonable fee to cover the additional administrative costs or choose to refuse the requests. The following section details your information rights and how we can help ensure that you are aware of these rights, how you can exercise these rights and how we intend to deliver on your requests. You can change your mind wherever you have given us your consent, such as for direct marketing or processing your sensitive information. By contacting us at membership@irishdeercommission.ie, you can request that we no longer process data we require your consent for. You disagree with the legitimate interest legal basis and processing is restricted until the legitimate basis is verified. If you have a complaint about the use of your personal information, please let an Officer of the Association know, giving them the opportunity to put things right as quickly as possible. If you wish to make a complaint you may do so in person and by email. We will fully investigate all the complaints we receive. You may complain by phone, by email. We ask that you supply as much information as possible to help us resolve your complaint quickly. We will make changes to this notice from time to time, particularly when we change how we use your information, and change our technology and process. 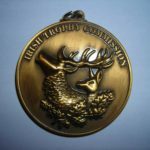 You can always find an up-to-date version of this notice on our website at www.irishdeercommission.ie/aboutus, or you can ask us for a copy. Please see explanations below of some of the data protection terms used on this notice. Biometric Data – means personal data resulting from specific technical processing relating to the physical, physiological or behavioural characteristics of a natural person, which allow or confirm the unique identification of that natural person. Consent – of the data subject means any freely given, specific, informed and unambiguous indication of the data subject’s wishes by which he or she, by a statement or by a clear affirmative action, signifies agreement to the processing of personal data relating to him or her. Data Controller – is a natural or legal person, public authority, agency or other body who determine the purpose and means of the processing – of personal data, where the purposes and means of such processing are determined by Union or Member State law. Irish Deer Commission are considered a data controller, as they process personal data on behalf of both their members, their supporters and membership applicants. Data Processor – in relation to personal data, means any natural or legal person (other than an employee of the data controller), public authority, agency or another body who processes personal data under the direction of, and on behalf of a data controller. Irish Deer Commission is considered a data processor, as they process personal data on behalf of Third Parties. Additionally, Third Parties engaged by Irish Deer Commission to process personal data are considered data processors. Data Protection Law and Regulation – means all legislation, regulation and applicable codes of practice relating to the processing, protection and privacy of personal data. See the section What is GDPR for details. General Data Protection Regulation (‘GDPR’) – is a regulation intended to strengthen and unify data protection for all individuals within the European Union (‘EU’). Non-compliance of GDPR can result in fines the higher of €20 million or up to 4% of turnover. The aim of the GDPR is to reinforce data protection rights of individuals and facilitate the free flow of personal data. It applies to all data controllers and processors established in the EU, as well as those established outside the EU that process the data of EU citizens. a) Personal data may be processed on the basis that processing is necessary in order to enter into or perform a contract with a member. b) Personal data may be processed on the basis that there is a legal obligation for the processing. c) Personal data may be processed where the Irish Deer Commission has a legitimate interest in processing the data. d) Personal data maybe processed in order to protect the vital interests of the data subject. Personal Data – is any data relating to an identified or identifiable natural person (‘data subject’), who may be identified from the data either on its own (directly) or in conjunction with other data (indirectly), in particular by reference to an identifier such as a name, an identification number, location data, an online identifier or to one or more factors specific to the physical, physiological, genetic, mental, economic, cultural or social identity of that natural person. Profiling – means any form of automated processing of personal data consisting of the use of personal data to evaluate certain personal aspects relating to a natural person, in particular to analyse or predict aspects concerning that natural person’s performance at work, economic situation, health, personal preferences, interests, reliability, behaviour, location or movements. Recipient – means a natural or legal person, public authority (such as the Office of the Data Protection Commissioner (‘ODPC’), agency or another body, to which the personal data are disclosed, whether a Third Party or not. The processing of those data shall be in compliance with the applicable data protection rules according to the purposes of the processing. Irish Deer Commission is an unincorporated Association.